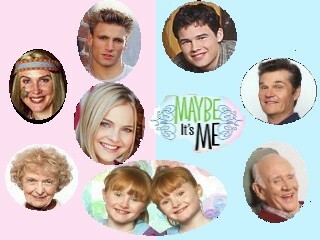 This site is dedicated to the fabulous Tv show Maybe It's Me. On this site I'll include bios, photos, an episode guide and more. I hope that you enjoy my site. Have a nice day! Touch any pic with your pointer and get a Molly's pop-up though!